On the right is a collection of bits of white metal junk that was free to a good home. I've already identified a severed head that will probably find a use as a battle trophy for my Gauls. 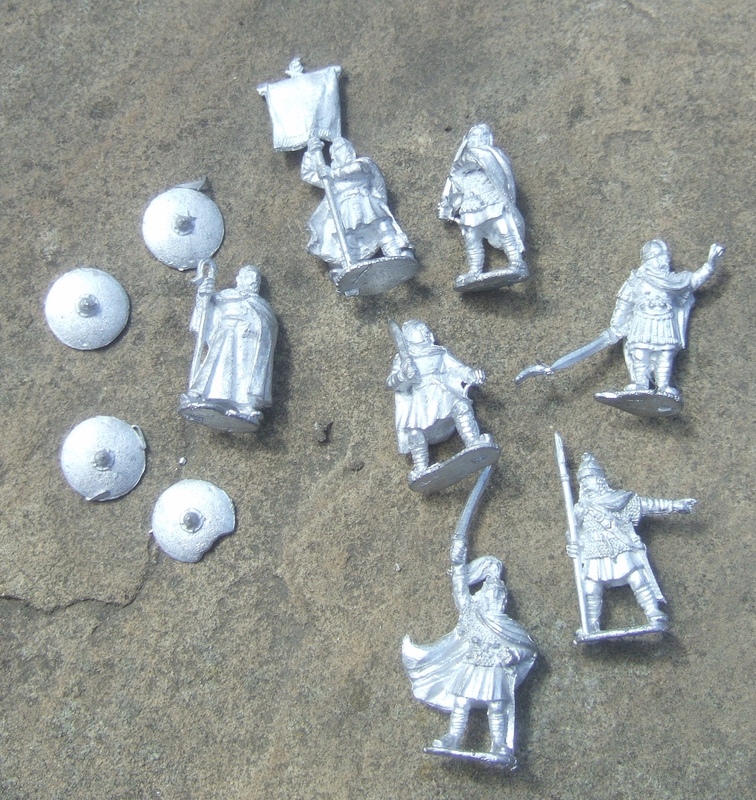 The other bag was a fiver from Paul at the Deeside club and contained these Arthurian /Late Roman types. Foundry I think and Ideal for my Bacaudae project. 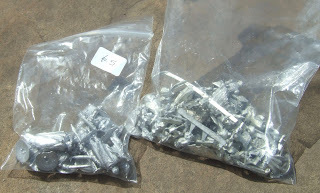 Finally, these chaps came courtesy of a diversion to the War Game Store in Brimstage on the way home. My diversion into the second century BCE in 28mm scale continues.